The origins of oil pulling can be traced back to around 3500 years ago to a Hindu system of medicine known as Ayurveda (“life-knowledge”). This method aimed at achieving homeostasis within the body by treating the imbalances within one’s “bodily humors”. Known as Doshas, the system states that the dominant Dosha in each individual and their surrounding environment determines one’s health, including dental health. It was thought this particular remedy would whiten teeth, prevent tooth decay, oral malodor, bleeding gums and throat dryness. It also was thought to help with strengthening teeth, gums and the jaw. More recently, the trend is catching on as a more natural way to clean your mouth and teeth. As mentioned, the act is seemingly very simple- put a tablespoon of food based oil (preferably one of the healthy oils like sesame or coconut) in your mouth and swish it around until it becomes milky-white. Then you will need to spit it in the trash can. Don’t swallow it, or put it down the drain, lest doing this regularly and at the quantities involved you end up clogging both your bodily and household pipes. There are several theories as to why this might help with oral care. They all seem to revolve around ridding the mouth of unhealthy bacteria. The act of swishing any liquid around will inevitably help dislodge bacteria or left over food from all the tiny cracks and crevices of your mouth. Using oil to do this, instead of plain water, is touted to provide several other benefits- some more scientifically based than others. These supposed benefits include that oil helps provide a surface layer on the structures of the mouth, preventing any bacteria from adhering; using oil increases salivary excretion, thereby turning the salivary glands into a detoxifying organ; and finally, oil helps moisturize the gums, helping with dry mouth. Dry mouth has long been known to increase certain oral health issues. The most interesting look at oils and why they help rid the mouth of unwanted bacteria comes from Doctors Sroisiri and Boonyanit Thaweboon and Dr. Jurai Nakaparksin in their study published in the Asia Journal of Public Health in 2011. 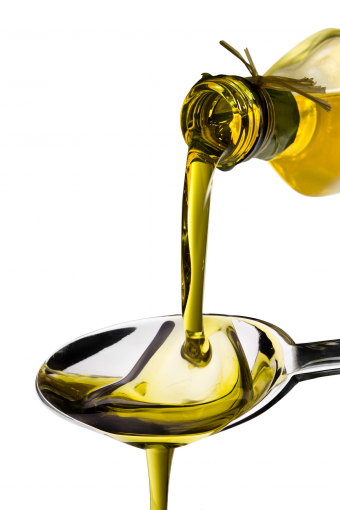 Titled “Effect of Oil-Pulling on Oral Microorganisms in Biofilm Models”, they took the two most common types of bacteria and the most common type of fungus in your mouth (Streptococcus mutans, Lactobacillus casei and Candida albicans) and exposed them to different types of food oils. What they found was that different oils affected the bacteria and fungus differently. Coconut oil exhibited antimicrobial activity against S. mutans and C. albicans, whereas sesame oil only had antimicrobial activity against S. mutans. Sunflower oil was only effective against fungal activity and didn’t deter bacteria at all. Many oils like corn, palm, rice bran, and soy bean, ended up not providing any tangible benefit against bacteria or fungus. For those choosing this more natural approach to oral health, some proclaim there are other advantages over commercial mouthwashes. There’s no staining; some tout there is no lingering after taste; it has the potential to reduce allergic reactions compared to certain commercial options for some people; and the oils needed are most likely readily available in the house. In less commercially developed countries, where there aren’t any other options, these types of natural oils might be the only choice people have. In the end, almost every dentist will tell you, more research and better controlled studies are needed before we know the exact ramifications of oil-pulling and its long term effects (whether positive or negative). And since oil pulling takes between 10-20 minutes, and the average person takes only 4 minutes to effectively clean their mouths using standard brushing and rinsing techniques, until more data is available, that’s probably the superior method of mouth cleaning for most. The extra time saved can be used performing other, more holistic approaches to health, like a little heart healthy exercise. What Is A Sunburn And How Does Sunscreen Protect Us? Speaking of oil, have you ever heard of the Shangri-La Diet? It basically claims weight loss through adding a few daily tablespoons of extra-light olive oil and some sugar water. Have not tried it myself yet. @joj: Not heard of it, but if it’s like most gimmicky fad diets, probably not the best way to go. With most such diets, by their very structure, they often assure that while you might achieve short term, sometimes rapid, weight loss, long term you’ll probably end up with more fat (and usually less muscle) than you started out with for various very well-known reasons! 😉 If you’re actually interested in an ultra-science based and sustainable (meaning not starving yourself or other such counterproductive methods of weight loss) way to get in great shape and eat healthy with as minimal effort as humanly possible, I’d strongly recommend you check out Michael Matthews’ “Bigger, Leaner, Stronger” (for men) or “Thinner, Leaner, Stronger” (for women). There’s a very good reason those books have such ridiculously good amazon review ratings as you’ll see by following the links. Both are easy and quick reads (I’ve read them both personally, the former multiple times), very simply laid out, and give you the knowledge to actually understand how fat loss, your metabolism, etc. actually work under the hood. If you don’t feel like actually purchasing a book, you could also always check out Matthews’ website or podcast. And no, I’m not being paid for such a mention, nor do I have any affiliation with Michael Matthews. Just after many years of reading so much misinformation out there about various dieting and workout related topics (and being confused as anyone with all of it), it was ridiculously refreshing to finally come across a heavily science based work outlining in very readable terms a sustainable way to get and stay healthy and why and how this or that actually works in your body. No wasted effort then when trying to get and stay in shape. Needless to say, I’m a big fan.